1. St. Patrick’s Cathedral in Dublin is an historic Irish institution with more than 800 years of faithful service. 2. 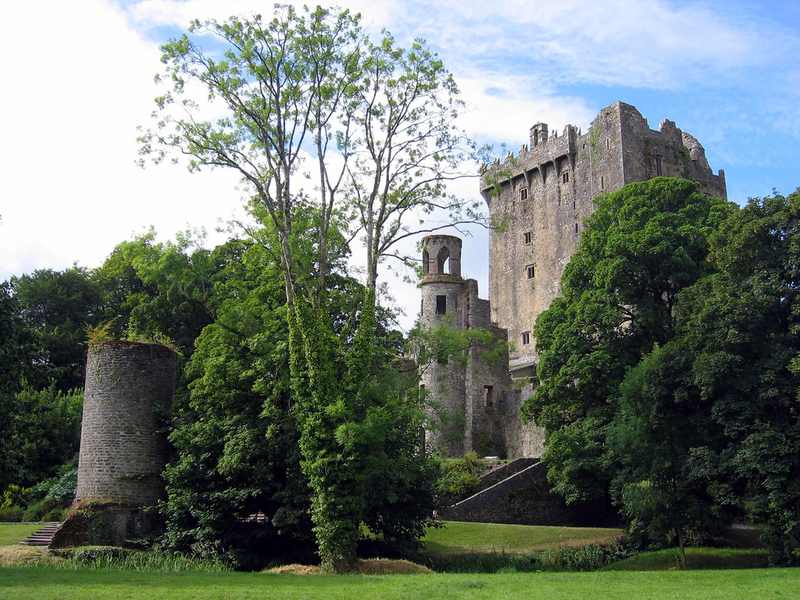 Visitors to Ireland love to kiss the Blarney Stone. Located at Blarney Castle, it was originally a timber lodge built in the 10th Century and replaced by the stone castle in 1210. Get a picture! 3. The Cliffs of Moher are, quite simply, breath-taking. Overlooking the wild and windy Atlantic in County Clare, they rise straight up over 700 feet. 5. The Oscar Wilde Statue, Merrion Square, Dublin. Wilde is lying back on a rock, as if he hasn’t a care in the world. Take our Literary Pub Crawl to learn more about Wilde, Beckett and other famous Irish writers as you visit local Dublin pubs. 6. When in Ireland, visit at least one castle–there are hundreds. Consider Belfast Castle, more than 400 feet above sea level with panoramic views of Belfast and Northern Ireland. 7. Grafton Street, Dublin, is a historic area with great shopping, pubs, restaurants and a cutting edge art scene.